“I think your friend intuitively read your soul to identify the shaman archetype. Actually, the shaman identity is an aspect of the Priest Archetype. Some of its other aspects are minister, medicine man/woman and Rabbi- all of these relative to the cultures one incarnated within in the past. The common, underlying thread is being a focal point for spiritual education. The Soul carries all of the experiences/memories- the good, bad and ugly- of how one has used their energy and power. You probably felt some of that when she named it and it sent a schism through you. If you misused your power and authority, the opportunity at hand is to clear it up now. From counseling people for over 30 years, I can tell you that there is is no one walking the planet that hasn't abused power and authority. To get past the fear of this is to reveal gems of insight that help you to see the bigger definition of who you are as a divine identity. Most of all, its a chance to reclaim trapped life force that could better be used to fund your current visions and purpose. When my awakening began in 1991, clearing up distortions of power was the first thing on my Spirit's list of corrections, thankfully so, because my daughter was only 2 years old and it would have been unfair to her to model victim/abuser/rescuer behaviors. Restoring and healing the wounded feminine is such a big project in my mission that literally emerged from healing it in myself first. You see, your current cellular and unconscious or Soul memories are really just the raw building materials that help you to uncover your true purpose now. 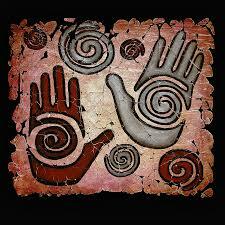 Shaman is an old paradigm term for the self-identity that was part of the Patriarchal version of Priest. Dogma is rapidly falling apart along with abdicating to an outside authority. Now, the name of the game is coming home to one's own unique divinity. It is the difference between living from a 4th dimensional, patriarchal frequency and reality and a 5th dimensional or Angelic frequency and reality. The skills, wisdom and resources remain, but how your Spirit will choose to express itself through this archetype is only discovered when you update the records and heal the past of where you abused power and authority. Reclaim the truth about what you created when you incarnated as a shaman (or minister, medicine man, etc) and that will reveal the truth about your divinity, which is the greatest self-awareness bar none. That is how you identify and come to express your true gifts, talents and skills that you brought into this life to actually fulfill your purpose. Healing the past frees up self-awareness and this in turn reveals your purpose in this current life. Copyrighted 2001-2016 All Rights Reserved. All information on this site is the exclusive intellectual property of Karen Schultz, Touching Brilliance, LLC and Fifth Dimensional Living, Inc. No part of this material can be duplicated, copied or shared electronically or otherwise in any way. The information and services on this site are not intended to replace a one on one relationship with a health care professional and is not intended as a substitute for medical advice. Posted in Q and A With Clients.